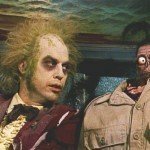 Tim Burton: Alice in Wonderland, but where are you? A few months ago I came across a Sweeney Todd poster in a film magazine, and being a huge Tim Burton and Johnny Depp fan it went straight on the wall. Even though I had been thoroughly disappointed by pretty much everything he had done since Big Fish, I assumed that Tim+Johnny+Helena+Blood+Musical would most definitely equal success. So after dragging 5 of my friends to the cinema to watch Sweeney Todd I went straight home and literally tore the poster off the wall. What on earth has happened to the man that filled my childhood and adolescence with such wonderful films? I had no understanding of directors and actors when I was young, I just enjoyed films that had a certain something. And Burton’s first films all had that certain something; an air of melancholy and hopefulness, a playful desperation in all of his characters. 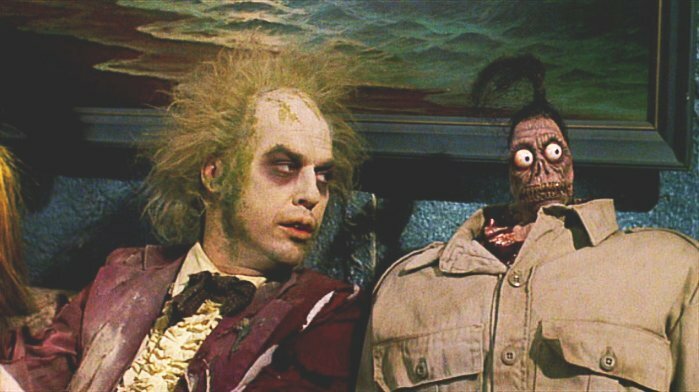 Beetlejuice was the funniest macabre film I had ever seen, which brought Burton’s aesthetics clearly to the fore. 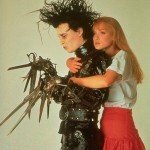 Edward Scissorhands explored the outsider, the one who is different in a very literal way, while criticising suburban infatuation with anything that might break the boredom. His two Batman films were brilliantly camp and still somehow achieved a sexyness (despite the fact that Burton seemed to develop the villains a lot more than the hero, and the whole thing remained very cartoony). Ed Wood and Mars Attacks explored his fixation with science fiction and were wonderful comedies, one completely absurd and violent and the other an incredibly sweet descent into failure. Sleepy Hollow had some genuinely scary moments but you can see the first indications that something is going wrong. And after that… with the exception of Big Fish, which is a wonderful touching fairytale, the list is horrendous. Planet of the Apes is a distant memory for me, forced into a box, latched, put in a wardrobe and pushed over a cliff into the sea of my subconscious. Charlie and the Chocolate Factory feels like an awkward attempt to find something he lost. All the elements were there but the film was cringe worthy at times and no amount of Johnny Depp’s grimacing was going to help it. Not to mention that it had to compete with the 1970s version which scared the life out of me as a child and had real Umpa Lumpas. Corpse Bride had absolutely no soul whatsoever. 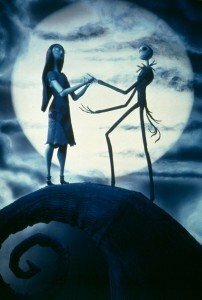 Again it looked like he was following the recipe he used for what is one of the best animated films of all times with an incredible soundtrack, Nightmare Before Christmas, and again it all went horribly wrong. Which brings us back neatly to Sweeney Todd. What the hell was that all about? Were large amounts of blood, gore, posturing and bad singing supposed to conceal the fact that it was terrible? Watching that film in the cinema, it was one of the few times that I did not mind my mates talking between themselves. At some point, most of the audience had sunk into their seats and were sniggering with the person next to them, and it wasn’t because something funny happened.They were bored. I have never been as excited to see Sacha Baron Cohen. It makes me so sad, that a director whose films I grew up on, could take such a massively wrong turn. A man who has had such a massive impact on popular culture and subculture, seems to have lost it. Perhaps if I was younger I would find his more recent work intriguing or at least entertaining, but then why is it that I still love his older films? Regardless, lets focus on the future. His next film is an animation/live action Alice in Wonderland and rumours abound about the cast, but there is no point going into it seeing as it is being released in 2010. He is also remaking his own Frankenweenie as a feature length stop motion animation. He is also participating in the production Ripley’s Believe It Or Not and 9. 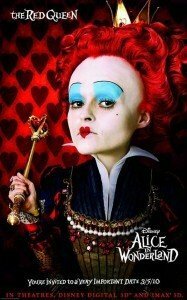 Alice In Wonderland sounds like an ideal project, and he cannot really go wrong with a remake of his own work. Or can he? I have my own theory that he is too happy to make films since he had kids, but that is far too cynical for me to really believe it. I just want him to put some soul back into his films. I want to go into the cinema and feel like a child for an hour and a bit. Oh please, please, please let me get what I want Tim.